Speaking to African member states late last year, Dr. Margaret Chan, the director-general of the World Health Organization (WHO), accused the world of tolerating “long-neglected health systems” while singling out a “profit-driven industry” for not investing in Ebola vaccines earlier. 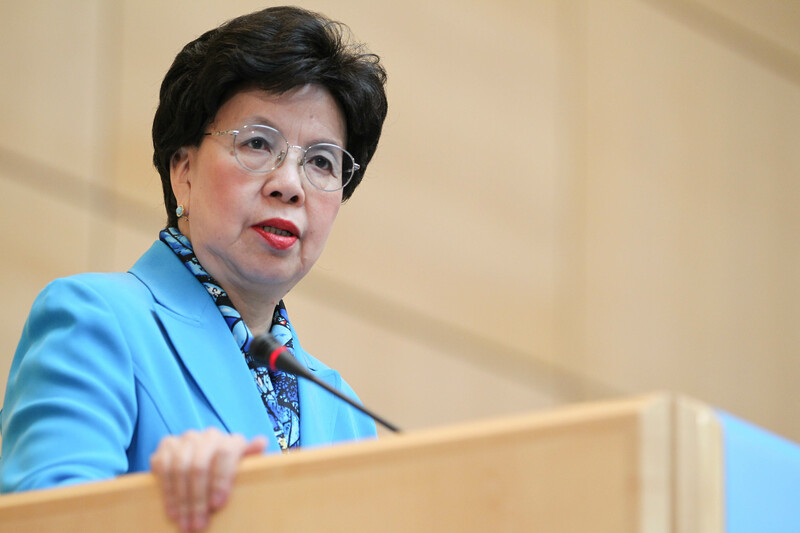 Dr. Chan’s speech was a reminder that WHO officials can use the bully pulpit to mobilize the international fight against pandemics. But the speech was also a step toward restoring the organization’s shaken credibility after its response to the ongoing outbreak. Last April, Doctors Without Borders International (MSF) prodded the WHO to declare an international health emergency and mobilize the resources to tr ack and contain Ebola and treat those already infected. Far from sounding the alarm, the organization’s regional office did not officially declare an emergency until August. Even then, the WHO insisted it was a technical agency that would not play a lead role in the response. The result was a series of reports (see examples here, here, here, here and here) critical of the organization’s preparedness. UN Secretary General Ban Ki-moon felt compelled to create a new UN Ebola mission that is taking on leadership and coordination tasks previously expected of the WHO. Why was the WHO unprepared for this Ebola outbreak? Why did it fail to carry out its leadership mandate? The available evidence suggests several plausible explanations, including the nature of the epidemic, budget cuts, organizational politics and perverse political incentives. First, intergovernmental organizations often prepare poorly for so-called ‘black swans,’ events that are rare and hard to predict but that can have an outsized impact on the organization and the populations it serves. The infrequency of these events incentivizes an organization like the WHO to make it a lower planning and investment priority than programs that address more frequent and routine public health problems. Individual governments at risk of such a catastrophic event might push the WHO to invest in the organization’s emergency response capacity. Yet governments also have an incentive to press the WHO to prioritize technical assistance programs that address more common problems. Governments that receive WHO assistance likely prefer programs and services that provide regular if more modest benefits (such as technical assistance) rather than rare but substantial benefits (such as coordinating the response to a major outbreak). The Global Financial Crisis of 2008 exacerbated this problem. The WHO reacted to the resulting budget pressures from its major donors by cutting resources to outbreak and emergency response and prioritizing preparing governments to better respond to an outbreak on their own. Its members failed to establish the $100 million contingency fund for public health emergencies recommended by its own 2011 internal review—a review that found “the world unprepared” for a major emergency. In hindsight, this decision seems foolish but it is understandable from the standpoint of an organization facing member-state pressure to justify its spending on a regular basis. The WHO can explain the benefits of routine technical assistance to a recipient state’s health care system much more easily than it can document the impact of spending on global emergency preparedness. Second, the WHO was likely led astray by its recent experiences responding to SARS (2002/2003) and the H1N1 influenza (2009). The H1N1 experience may have led the WHO to be cautious about sounding the alarm too early. In that case, the organization was criticized for “overreacting and declaring [the H1N1 influenza] a pandemic” (even though an independent review later affirmed the WHO’s decision). The SARS outbreak in China may have encouraged the WHO to rely too heavily on coordination with national health systems. Because China had a strong bureaucracy and functioning health system, the WHO emphasized coordinating with it over developing its own emergency capacity. Third, the WHO’s senior executives and staff have clearly been averse to asserting a leadership role. Dr. Chan has defined the organization as a technical health agency rather than the lead agency responsible for global outbreak surveillance and emergency response. As late as September, Dr. Chan continued to defend the WHO’s initial response to the outbreak based on this limited vision of the organization. In fact, the WHO has been given multiple—often competing—mandates from its member states. Far from always seeking to expand their authority, international organization leaders often worry that pursuing too many roles risks an identity crisis, exacerbates competition with states and other international organizations, and generates donor concerns about bloat and lack of focus. Finally, the WHO’s internal organization may have prevented it from sounding the alarm early. The WHO’s structure features powerful regional offices that seek to maintain close relations with relevant governments. Governments in the region also appoint directors to regional offices, and their political functions sometimes outweigh their managerial and professional experience. In this instance, the government of Guinea, in particular, feared the domestic consequences of prematurely declaring an emergency and urged the WHO’s regional staff to challenge MSF’s assessment. According to The Guardian, this pressure partially explains why the regional office downplayed the problem to WHO headquarters in Geneva and even withheld information about new infections. All of these explanations suggest that the WHO acted much like any organization facing similar political incentives and organizational pressures. However, this ‘ordinary’ organizational response had extraordinary consequences in an outbreak of this magnitude. The long-term credibility of the organization and, more important, the world’s capacity to respond to future ‘black swan’ crises requires the organization to learn the lessons of this outbreak. Doing so could put pressure on the WHO to make fundamental changes to its mission, structure and culture, and on member states to ensure that emergency response stays near the top of the intergovernmental agenda. Mike Schroeder is professorial lecturer and director of the Global Governance, Politics, and Security program at American University’s School of International Service. This entry was posted in Uncategorized and tagged Public Health, World Health Organization. Bookmark the permalink.